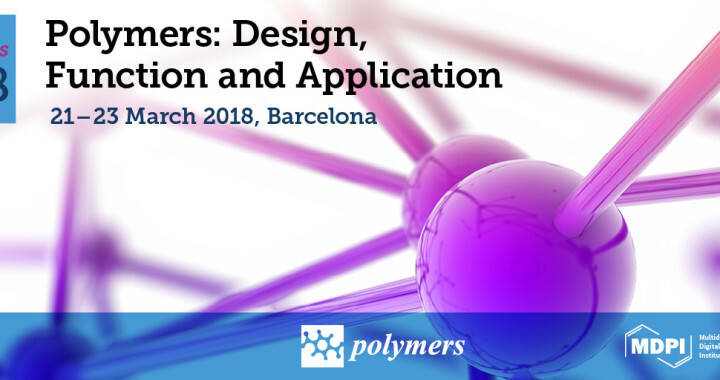 On March 21-23, 2018, the journal Polymers organized the first international conference entitled Polymers: Design, Function and Application in Barcelona. 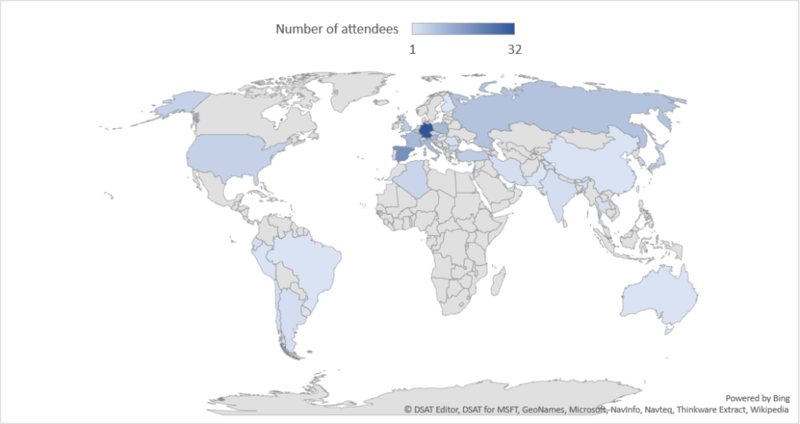 It was a three-day event at the University of Barcelona, with more than 170 attendees from 37 countries. The event was characterized by many fascinating discussions. The conference was chaired by Prof. Dr. Alexander Böker (Fraunhofer Institute for Applied Polymer Research, Germany) and Dr. Frank Wiesbrock (PCCL – Polymer Competence Center Leoben, Austria). It was specifically designed to stimulate new research activities in the development and testing of the next generation of polymeric materials. In particular, to see how research can lead to materials with previously unrealized properties that are suitable for advanced applications. It was divided in two main sections, “Design to function” and “Function to Application”, with a total of 40 oral presentations and 123 posters. Many talks focused on sustainability, recycling or minimizing environmental impact, which shows the increasing importance of this topic. There was also a special session for the Polymers Young Investigator Award, during which four brilliant candidates presented their latest research. 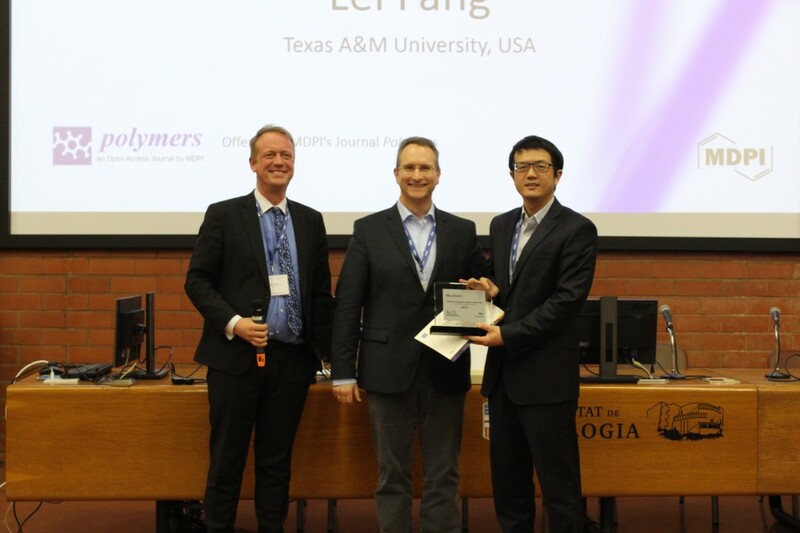 The award was granted to Lei Fang (Texas A&M University, USA) for his talk titled “Integrating Molecular Rigidity and Soft Matter Characters in Ladder Polymers”. In addition, two travel awards to attend this conference were conferred to Patxi Garra from the University of Upper Alsace, France, and Kangkana Banerjee from the University of Mysore, India. The journal Polymers has opened a Special Issue related to this conference, titled “Polymers: Design, Function and Application“, in which all conference participants can submit a manuscript and, if accepted, will benefit from a 20% discount on the publication fees. The conference committee is pleased to announce that, based on the success of this event, they are already planning the next edition of the Polymers conference series. More details will be announced soon. Posted in Conference, Open Access Publishing, Polymers, Sciforum and tagged conference, Polymers, research, science.